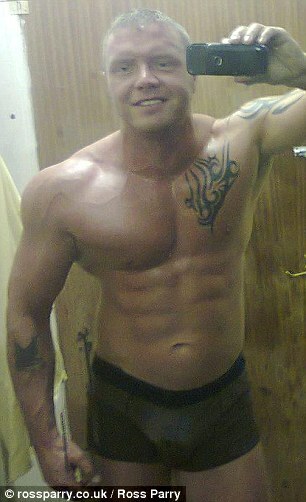 The bodybuilding ex-boyfriend of a woman stabbed to death told friends and a mistress he would kill his former partner so ‘no one else’ could have her, an inquest heard. Tragic Gabrielle Stanley, 28, was brutally knifed at the Doncaster, South Yorkshire, home she had shared with steroid user Simon Hall, 36, on October 26 last year. She sustained 30 stab wounds in the attack and died at Doncaster Royal Infirmary later that night. Hall was also found dead at the scene and a post-mortem revealed the cause of death to be hanging. An inquest at Doncaster Crown Court heard today that six weeks before Gabrielle was stabbed she had split up with Hall because of his infidelity and his continued steroid abuse. Despite giving Gabrielle space to begin with, Hall started to obsessively try and win Gabrielle back and even threatened suicide to get her round to his house, the inquest heard. Numerous friends and Katie Wath, with whom Hall had been having an affair with, noticed his behaviour change in the weeks leading up to the pair’s death. A statement from John Hall, one of the bodybuilder’s close friends, recalled a conversation the two men had in the weeks before the deaths: ‘He told me he was following Gabrielle on his push bike. He didn’t really elaborate but said he’s been following her. ‘He was asking why she had left him over and over again. The inquest heard Hall had been going out with Gabrielle for 10 years and lived with him Doncaster for three years. share of the mortgage and keeping the house they had shared together. Despite the meeting being a strictly business occasion, the inquest heard that Simon was very happy about Gabrielle coming over and had prepared a meal, got some alcohol and had a DVD for the pair to watch. But at approximately 10pm, neighbours on the street where the pair had lived recalled hearing a woman screaming for help. Neighbour Daniel Cutts said: ‘I had the window open because it was a humid night and heard a female screaming ‘”help me help me help me” as I went to look out the window there was a female lying on the street. 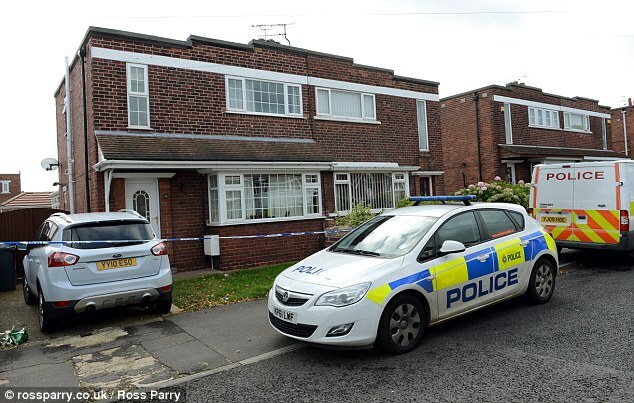 At approximately 10pm, neighbours on the street where the pair had lived recalled hearing a woman screaming for help. ‘I waited and a male came out of the house and dragged the female back into the house her body was limp and her feet were dragging along the floor. As Daniel worked with Gabrielle’s mother, Deborah, he made contact with the family and told them to get round fast as something had happened. A statement from a witness who saw the attack happening in the house between 10pm and 10.45pm – but who cannot be named for legal reasons – was read out in court. It said: ‘She heard what is described as a high pitched scream. She heard the words “stop it, please don’t” and saw the woman curled up on the floor, laid on her side with her back against the wall. Emergency services were called by neighbours on the street, who attended the address minutes later and discovered Hall dead and Gabrielle with severe stab wounds and covered in blood. Recording a verdict of unlawful killing for Gabrielle Stanley at Doncaster Crown Court, Coroner Nicola Mundy said: ‘Gabrielle Stanley had been in a long-term relationship with [Hall] and had resided with him until six weeks before her death when she chose to end the relationship. Ms Mundy said that she was certain that Gabrielle had no intention of reconciling her relationship with Hall when she went over to the house they formerly shared to discuss finances. However, the inquest heard that Hall was ‘obsessive’ in his attempts to win Gabrielle back and was sure that she would return to him one day. Ms Mundy recorded a verdict of suicide for Simon Hall.